Norman, great close-up of the Green Heron! Thank you very much Myrna. Congratulations Norman! 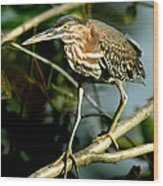 Your outstanding artwork has been featured in our group, Florida Water Birds-Shore Birds. I'm glad you like this picture Helen. Thank you for featuring it in the group "Florida Water Birds-Shore Birds". 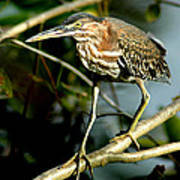 The green heron is one of the more colorful of the herons. This juvenile was at John Sargent Park in Tampa, Florida. 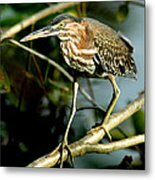 Green herons�(butorides virescens) is a denizen of lowlying wetlands such as wooded ponds, marshes, rivers, swamps, reservoirs and estuaries. They can be found in the eastern United States, the west coast of the United States, Mexico, Central America, down into norterhn South America and the Caribbean. The best time to see them is at dusk or dawn. 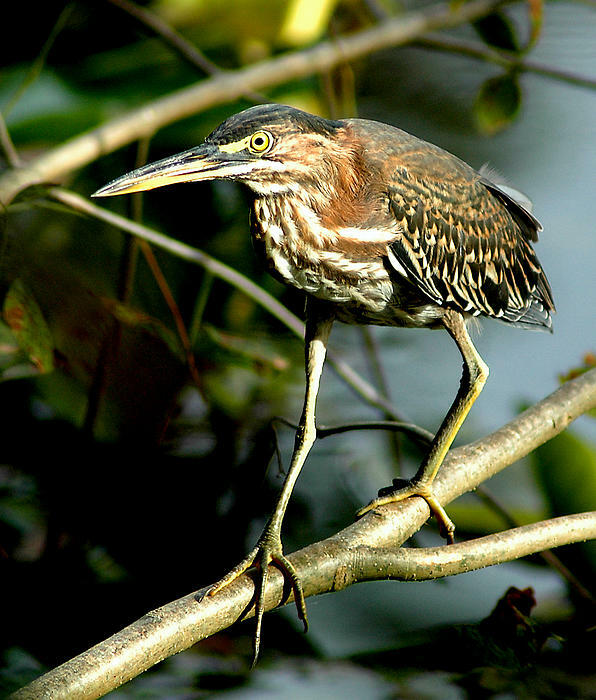 It is a small stocky heron measuring from 16.1" to 18.1" in length with a wingspan between 25.2" and 26.8. "�It's back and broad. rounded wings are a deep green and the wings often look scaled. The breast and thick neck are chestnut and the head has a dark cap that can be raised into a crest. They have short yellow legs,�yellow feet and a thick long ldaggerlike bill that is dark on top and lighter below. Juveniles are browner with pale streaking on the neck and spots on the wings.